Analyze your competitors’ performance; distribution strategies, publishing dates, type of content, and top performing content in your market all on one dashboard. We do all the work for you! Using Mintric’s new leaderboard you’ll get access to real-time insights of competitors' performance in the market, across platforms, and along with +25 industries to choose from. 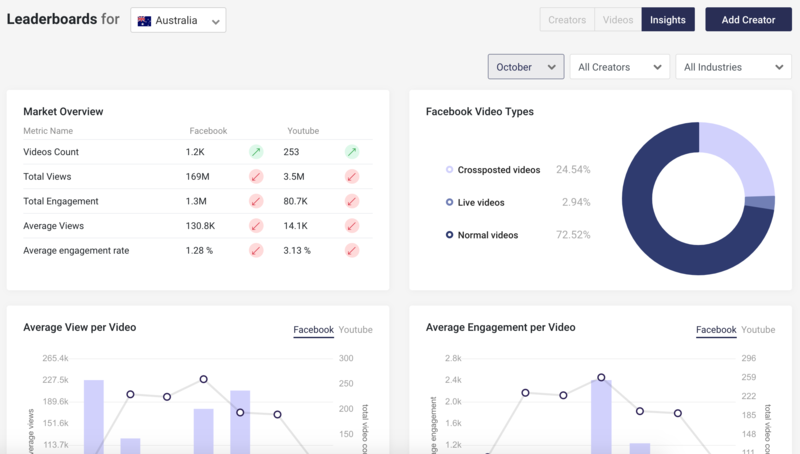 Get on spot insights on trending content and top performing videos in your country. Set up your report how you want it; choose a specific month, creator, country, platform, and industry. Or just see what online video is dominating the whole market at the moment! Get full insights of the content published in your industry; online videos count, views and engagement rates, and short/long-form videos so you indicate your own distribution in the field. Track your competitors and stand among the best of them now!